[AUTO](VC):When this unit performs Legion, choose one of your rear-guards with "Duo" in its card name, return it to your hand, search your deck for up to one card with the same name as that unit, reveal it to your opponent, put it into your hand, and shuffle your deck. 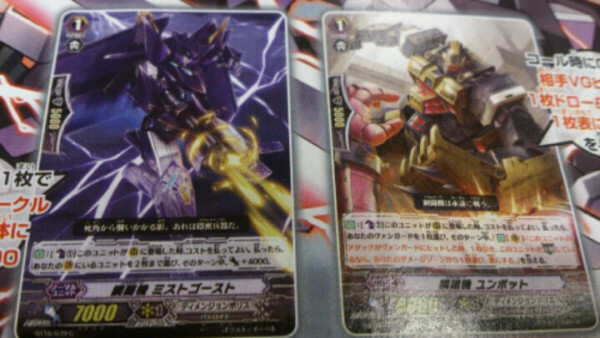 [AUTO]:[Counter Blast (1) & Soul Blast (1)] When this unit is returned to your hand from (RC), you may pay the cost. If you do, draw a card. Activate (V): Legion "Metalborg, Urubuster"
Auto (V): When this Unit attacks a Vanguard, if this Unit is Legioned and it has 30,000 or more Power, during this Battle, your opponent cannot call Grade 1 or higher Units from their hand to the Guardian Circle. 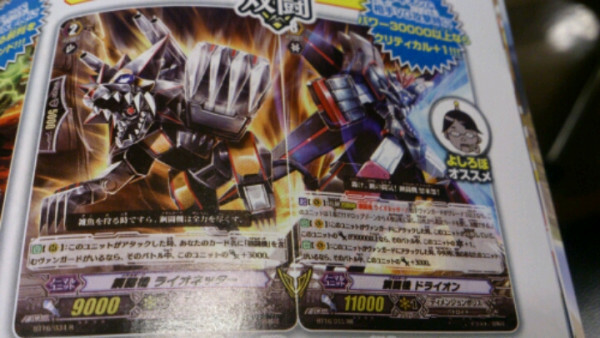 Auto (V): When this Unit attacks Vanguard, and it has 20,000 or more Power, this Unit gains "Auto (V): When this Unit's attack hits, draw 1 card" during this Battle. 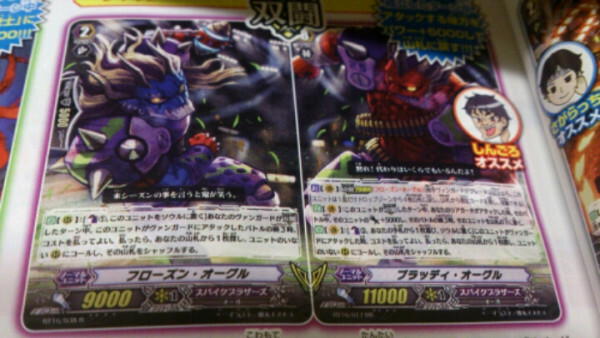 Auto (R): When your Vanguard is Legioned, you can choose 1 of your Vanguards, during this turn, it gains 4000 Power and "Auto (V): When this Uni's Attack hits the Vanguard, choose 1 of your opponent's Rearguards, Retire it." 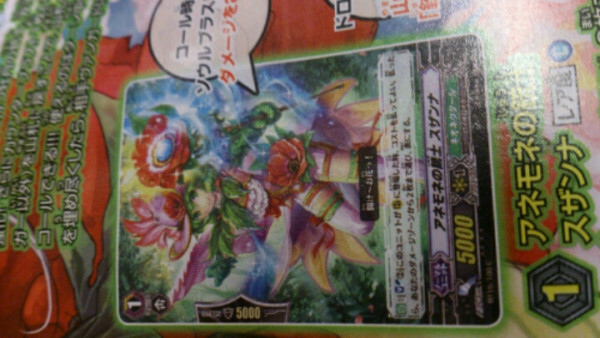 Activate (V): Legion with "Peony Musketeer, Toule"
Activate (V): [CB1, Choose 5 "Musketeer" Normal Units" in your Drop Zone, place them on the bottom of your Deck in any order] While this card is "Legioned", you can look at the top 4 cards of your Deck, look for up to 2 "Musketeers" among them, call them to Separate Rearguard Circles, then shuffle that Deck. You cannot use this ability again this turn. Auto (V): When this Unit attacks a Vanguard, if there are other Units in your Center Column, this Unit gains 3000 Power during this battle. 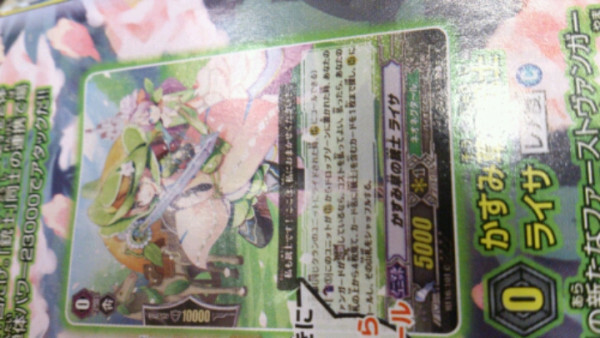 Auto: [Choose 1 of your other "Musketeer" Rearguards, Retire it] When this Unit appears in a Rearguard Circle, if your Vanguard is Legioned, you can pay the cost. If you do, look at the top 4 cards of your Deck, look for up to 1 "Musketeer" Card, call it to a Rearguard Circle, then Shuffle your Deck. Auto: [SB2] When this Unit appears in a Rearguard Circle, you can pay the cost. If you do, choose up to 2 cards in your Damage Zone and flip them face-up. 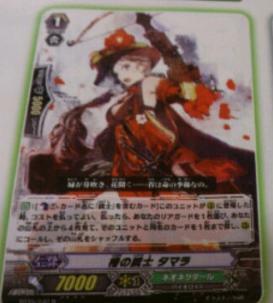 [AUTO][Counter Blast(1)-card with "Musketeer" in its name]:When this unit is called to the RC, you can pay the cost. If you do, look at up to four cards from the top of your deck, search for up to one card with the same name as a unit on your (VC) or (RC), call it to (RC), and shuffle your deck. 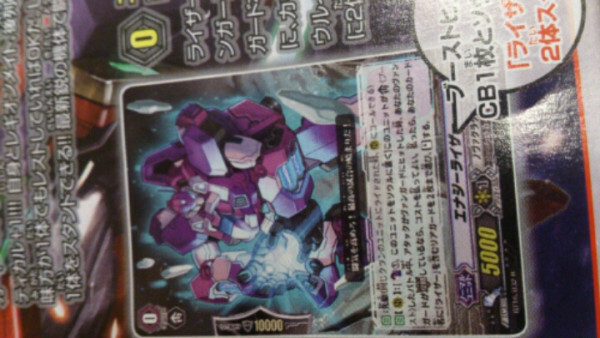 Auto: [CB1] When this Unit is sent from the Rearguard to the Drop Zone, and you have a Legioned Vanguard, you can pay the cost. If you, look at the top 4 cards of your Deck, look 1 "Musketeer" Card among them, call it to a Rearguard Circle, and then shuffle your Deck. 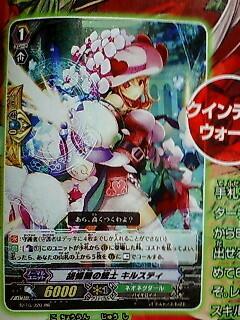 Auto: [CB1] When this Unit appears in a Rearguard Circle, you can pay the cost. If you do, you can choose up to 2 Units in your Vanguard Circle, they gain 4000 Power during this turn. 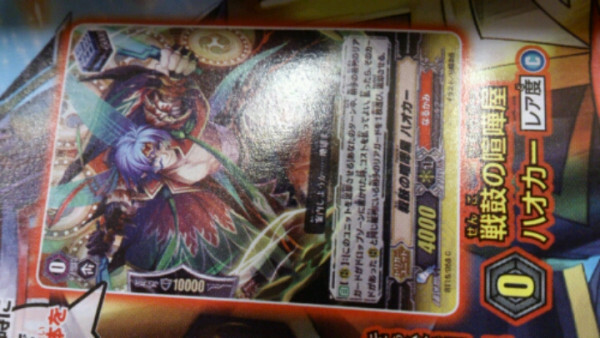 Auto: [CB 1 Card] When this Unit appears in a Rearguard Circle, you can pay the cost. If you do, choose 1 of your Vanguards, during this turn it gains "Auto (V): When this Unit's Attack hits the Vanguard, draw 1 card. 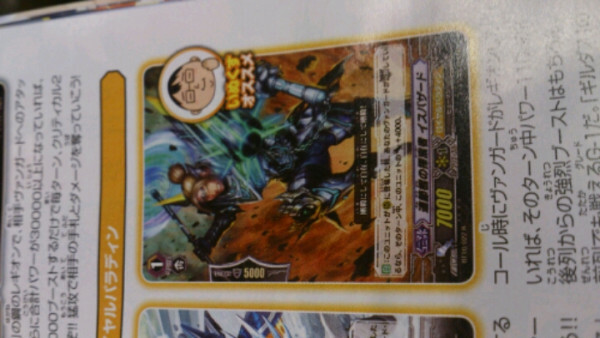 If this Vanguard is Legioned, you can choose 1 card in your Damage Zone and flip it face-up." 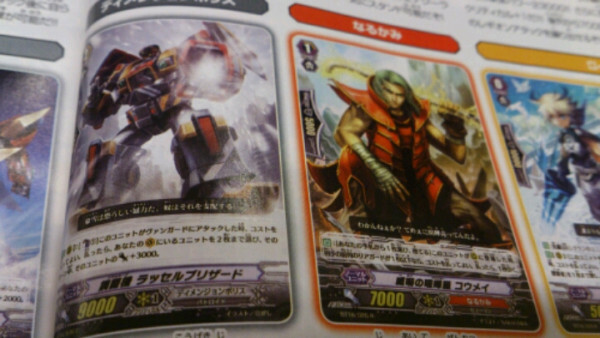 Activate (R): [Cb2, Choose 4 of your "Metalborg" Rearguards and place them into the Soul] Search your Deck for up to 1 Card that can Legion with your Grade 2 Unit in the Vanguard Circle, Ride it at Stand, shuffle that Deck, then choose 1 Unit in your Soul that can Legion with your Vanguard and Legion it. Auto: When this Unit appears in a Rearguard Circle and you have a Legioned Vanguard, choose up to 2 of your opponent's Rearguards, they cannot Intercept during this turn. Auto (R): [Retire this Unit] During this turn, when an opponent's Front Row Rearguard is sent to the Drop Zone, you can pay the cost. If you do, choose 1 Unit in the same Column as that Retired Unit, and Retire it. Continuous (R): If there is another "Raizer" in the same Column as this Unit, this Unit cannot be Retired by a Card's ability. Auto (Rearguard): [CB1, Place this Unit in the Soul] During a Battle in which this Unit Boosts, when that Attack hits a Vanguard, If your Vanguard is Legioned, you can pay the cost. If you do, choose up to 2 of your "Raizer" Rearguards, and Stand them. 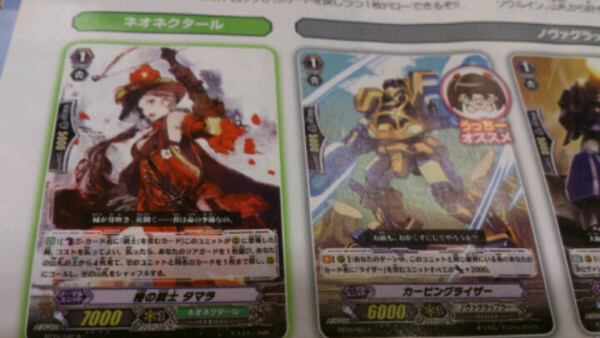 Auto: [CB1 "Musketeer"] When this Unit appears in a Rearguard Circle, you can pay the cost. If you do, choose 1 of your Rearguards, look at the top 4 cards of your Deck, look for up to 1 Card with the same name as that Unit, call it to a Rearguard Circle, and then shuffle that Deck. 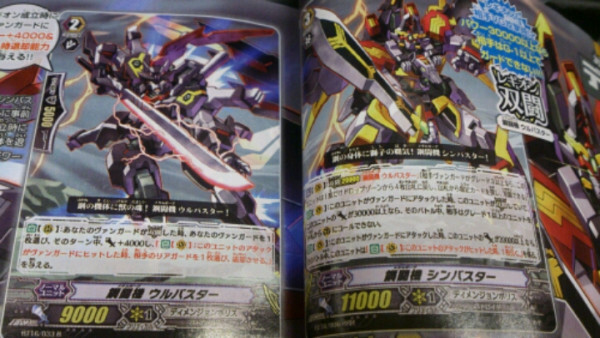 Cont (R): During your turn, all "Raizer" Units in the same Column as this Unit gain 2000 Power. 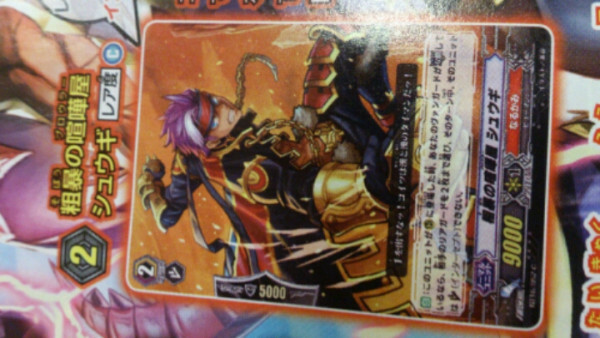 Auto (Rearguard Circle): [Counter Blast 1 Card, place this Unit in your Soul] During the turn your Vanguard is Legioned, after a battle in which this Unit attacked a Vanguard, you can pay the cost. If you do, search your Deck for 1 card, call it to an empty Rearguard Circle, then shuffle that Deck. Activate (V): Legion "Frozen Ogre"
Auto (V): During the Turn this Unit is Legioned, when one of your Rearguards attack, that Unit gains 5000 Power during that battle, but when the Battle ends, that Unit is placed at the bottom of your Deck. 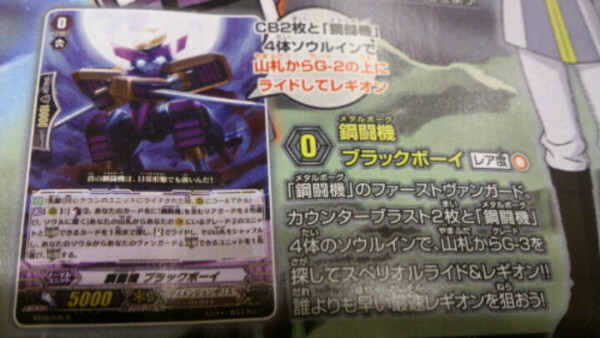 Auto (V): [CB2, Choose 1 card in your hand, place it in your Soul] When this Unit attacks the Vanguard, you can pay the cost. If you do, search your Deck for 1 card, Call it an empty Rearguard Circle, then Shuffle that Deck. Auto (V): When this Unit attacks the Vanguard, if this Unit is Legioned and it has 30,000 or more Power, it gains 1 Critical during this battle. 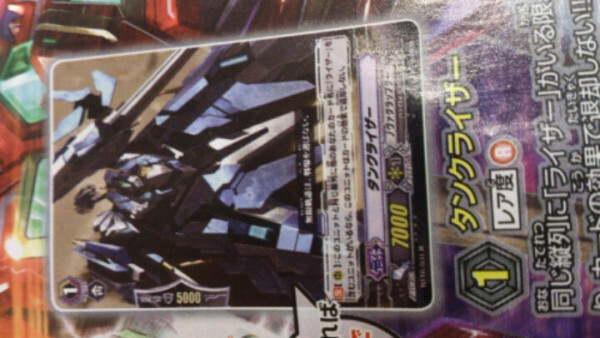 Auto (V): Whe this Unit attacks the Vanguard, if you have other cards in the Center Column, this Unit gains 3000 Power during this battle. Auto: When this Unit is called to a Rearguasrd Circle, if you have a Legioned Vanguard, this Unit gains 4000 Power during this turn. Auto: [Choose 1 card in your hand, discard it.] When this Unit appears in a Rearguard Circle, [Blur], pay the cost. If you do, draw 1 card.